PEM Surface Creations may not understand the hours it takes to train for a big race whether that be, a marathon, half-marathon 10k, or 5K, but we have worked hard to produce timing mats that comes in first in safety for your race event. PEM’s finish line/timing mats are beginning to show up at race events nationwide. Because of its slip-resistant properties, it is a perfect solution to providing a safe finish to a tired runner’s race. Designed with from a unique pvc construction, the timing mats create a durable and soft textured surface. The timing mats are also exceptionally porous, allowing water to quickly run through. Most races offer chip timing for their competitive runners which means wires crossing the start and finish line for the timing mechanisms. 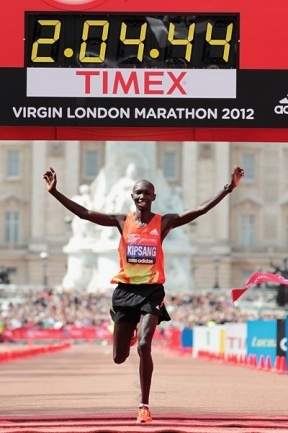 The chip timing system records a runners chip time, that being their actual race time from the time they cross the starting line to the time they cross the finish line. Runners are outfitted with a D-Tag to place in their shoelaces that trigger the timing system upon crossing the start and finish line. While this system allows competitive runners a truer race time, it also creates a hazard with wires crossing the start and finish line. That is where PEM’s timing mat performs best. Unlike other matting, PEM provides a flat surface with no bumps for runners to stumble. 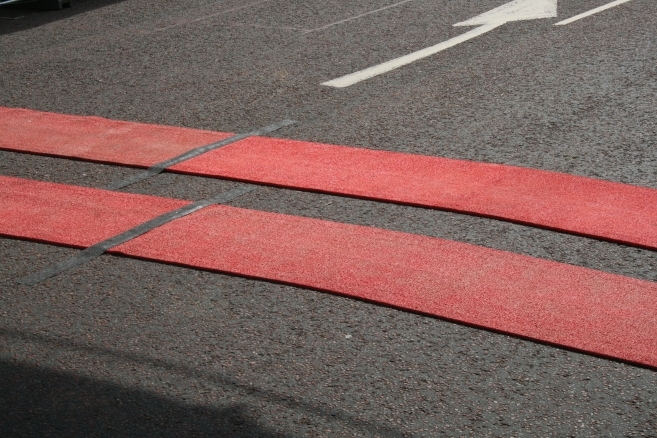 After the race event, PEM’s timing mats are easily rolled up for easy transport from race to race. The mats provide low maintenance and can be easily swept or rinsed down. They also contain an antimicrobial biocide that guards against the growth of mildew, fungi and bacteria during storage. The durable construction means that the timing matting will last for a long time to come, withstanding large amounts of foot traffic. Learning from previous incidents at some of the world’s most prestigious race events, there is no question that extra safety precautions need to be made for runners as they cross the finish line. PEM’s timing mats are an easy and affordable option to keeping runners safe.